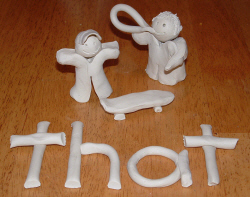 Students then use clay to model the trigger words–the short abstract words, frequently encountered in reading, such as and, the, to, or it. These words cause problems when dyslexic students cannot form a mental picture to go along with them. Through Symbol Mastery, the student makes a three-dimensional clay model of the meaning of each word, together with a model of the letters of the words. With this approach, learning is permanent. The Davis Reading Program for Young Learners is designed for “at risk” children ages 5-7 years old. This parent-coached program prepares children with the essential tools to learn to focus and create solid foundations for learning language. Because parents are involved, they learn how best to help their children learn the fundamentals of reading, writing, and spelling into the future. Math difficulties can be incredibly frustrating for everyone involved. Dyscalculia, the word used to describe “math dyslexia” is actually very common. Concept Mastery for change: something becoming something else. The assessment will determine if the Davis® Program is a suitable solution for the client’s learning difficulties and goals. The typical initial consultation will take about 2 hours andincludes a symptoms profile, short reading assessment, and a perceptual ability assessment. For children, participation of at least one parent is required. call 541-647-0841 or email j_onpoint@yahoo.com to set up an initial consultation today! The Davis program is a 30-hour, one week program which is facilitated one-on-one. Each program is customized to address the client’s specific goals and areas for improvement. Because it is a creative program and is designed for the learning style of the visual-spatial person, clients work with their natural strengths and talents to overcome their learning obstacles. While many other programs address only the symptoms of the learning disability, the Davis methods get to the root cause of the learning difficulty. Clients will leave with the ability to implement the knowledge obtained during the program into daily life. Five consecutive days of one-to-one facilitation (ages 8 and up). Up to 8 days may be necessary for the Math program. The Davis Dyslexia Correction program is a DRUG FREE solution. Therefore, before a program can be scheduled, clients must disclose all medications. If you have any questions about these requirements, please call 541-647-0841 or emailj_onpoint@yahoo.com . The program provides the client with all of the tools, understanding, and materials necessary to implement the strategies into their every day lives and achieve positive results. Davis Symbol Mastery® of 219 “trigger words” (those words that do not have a visual image) is an essential part of the correction of Dyslexia. Support Training is provided forfamily members, tutor(s) and/or teacher(s) on the afternoon of the last day to ensure post-program follow-up and success. Follow-up for the Davis® Math Mastery and the Davis® Attention Mastery Programs do not require mastery of the 219 trigger words or the Reading Exercises. Other follow-up may be recommended as necessary. Each client will receive all materials necessary for the follow-up work to be completed.